The type of a gearbox is one of the main points all drivers pay attention to when choosing a vehicle. In this article we will describe what a gearbox is, what its construction consists of and what types of gearboxes exists. 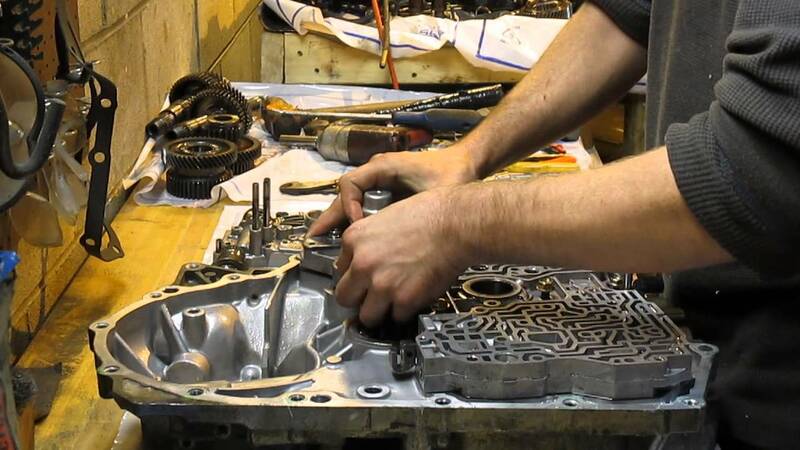 On top of that, we will give a detailed description on how exactly a gear transmission system works, why this unit is so important and how to replace a gearbox on your vehicle. Even those people, who don’t have a vehicle, know that its speed can be regulated by pressing the accelerator. So, what is gear box and what functions does it perform? The thing is that this mechanism is designed to change the wheel revolution number at the same engine rotation rate. All internal-combustion engines have a short working frequency range and their power is quite low. For instance, a standard engine model provides around 800-5000 revolutions per minute. During the movement of cars, this range narrows from 1500 to 4000 revolutions per minute. If you keep the low number of revolutions (less than 1500), then the system will quickly consume all lubricating oils and will simply break down. But, if you drive at high revolutions, then there is a risk of the rapid component wear, and in the end, you will have to lay your car up for repairs or replace its engine. This problem is eliminated by the main function of gear box. Furthermore, a gearbox also allows choosing the direction of movement. Gearbox – is a system that transmits the rotary torque from the car’s engine to its wheels. Transmission ratio – is a ratio between the output speed and the input speed. 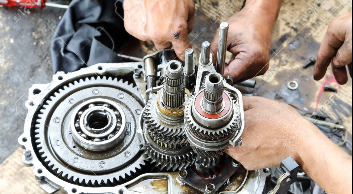 Clutch – is a system that stays in charge of connection or disconnection of a gearbox to the car’s engine. Gear lever – is a device by which a driver controls its gearbox and selects the right speed. Automatic systems have no lever and gears are shifted without the involvement of a driver. Due to some design features, the functionality and exploitation of various gearbox types are quite different. For example, in order to shift gear in a manual, you should first of all step on the clutch and then manually select the right gear. Once you release the pedal, the drive torque is firstly transmitted to the main shaft and then to the selected one. The latter transmits the engine torque to the drive and wheels. To drive a car with the manual car gears, you should be able to use your clutch pedal, neutral gear, second gear and gas pedal. The neutral gear implies that the engine torque is not transmitted to wheels. You can put in any gear from this position. The first is usually used just to move a car from a standstill. The second is frequently used for city driving. It is also quite comfortable to use the second gear when driving down the country roads or through the city with lots of traffic lights and bottlenecks. The reverse gear has higher working range and allows for reaching a cruising speed quickly. However, it is not recommended to use the reverse for too long. This may result in breakage of your gearbox. At first glance, it is pretty simple, because the positioning of gears is indicated on the knob. But it is quite uncomfortable to look at the knob while sitting behind the wheel and driving. On top of that, in order to shift gears in the right way, you should be able to fully depress the clutch pedal. Press the clutch pedal and shift your car into neutral before you start up the engine. After the engine is running, you should warm it up to its normal operating temperature. If there is cold outside, then keep the clutch pedal pressed while warming up your engine. Consequently, the oil in your gearbox will get warmer much faster. It is not recommended to start up the engine if the gear is engaged. Otherwise, your car might move ahead sharply. The clutch is a system that makes it possible to shift gears slowly. Many beginners release the clutch pedal too fast or don’t press it to the full. Such actions may damage a gearbox. 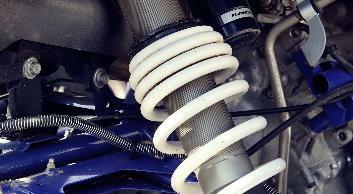 It is the act of reducing the gear of a vehicle while driving a manual transmission. Having mastered the downshifting method, you will be able to safely let down the speed of your car (without using your brakes) on the slippery roads or at the low road adherence. It is not recommended to go into reverse if your car hasn’t come to a complete stop. The speed lever may pop out and your car may accelerate when pressing the gas pedal. The contoured terrain is a lot more complicated to drive through than the smooth one. The car may roll down the hill when you stop, and it will be quite difficult for beginners to drive off. In order to learn how to do that you can put your car in neutral, pull up the handbrake, then put in the first speed, press the clutch and try to drive off gently releasing the clutch and pressing the gas pedal. After you cut off the engine and leave your car in a parking lot, press the clutch and put in the first gear. These actions will secure your car from some random movements. For instance, if your car is parked on the downgrade, it may simply roll down and create a crash situation. On your return, don’t forget to shift into neutral before you start up the engine. And above all – spend some time for practice and, its time, you will learn how manual transmission works and will be taking all actions automatically. Speaking about the design features and working principles, there are the following types of gear box: manual transmission, automatic transmission and variator. A manual transmission gives you a possibility to shift gears manually. It includes shifting mechanism, synchronizers, intermediate, input and output shafts, auxiliary shaft, casing and reverse gear. The majority of gearboxes of this type have four or five gears and one reverse. This type stands out for its enviable life cycle. A manual transmission can even outlast the life of the car’s engine. Excellent gas mileage. When compared with an automatic transmission, the car with the manual one consumes 15% less fuel and has higher acceleration dynamics. High efficiency – a manual transmission makes it possible to use all available torque-carrying capacity. Good car behavior – you can regulate the gear shifting process by your own, choosing the most comfortable driving style. Low weight (lower than that of an automatic transmission). Possibility to start up the engine even with the discharged battery and low-performing ignition. Possibility to tow a car both through rigid and flexible towline. Speaking about its disadvantages, it should be noted that the exploitation of types of manual transmission can be quite difficult for beginners. A driver will have to use it in tandem with the clutch, so there is a big chance to disrupt it by making a rookie mistake. On top of that, if you forgot to shift gear, it may cause some engine lug. Another thing is that city driving will make you shift gears manually all the time. The construction of all automatic gear boxes is far more complex than that of manual ones. It consists of more units and parts, so its purchase, installation, exploitation and repair don’t come cheap. But this transmission is better suited for city driving. It is exceptionally preferred by beginners, since this type of gearbox in automobile removes the necessity to pull the lever and use the clutch all the time. No engine lug risk if a driver forgot to shift gear. Transmission from low to high gear is very quick. No engine power loss. Heavy weight (compared to a manual transmission). Short life cycle (compared to a manual transmission). A brand-new automatic transmission can cover around 200 000 operational kilometers. Another disadvantage is the fact that automatic controls of such transmissions don’t imply engine braking in a “drive” mode. In order to do that you will have to shift into low gear. It is a mechanical unit that has automatic functions of the gear and clutch regulation. This mechanism could have either hydraulic or electric drive. 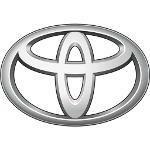 This parameter entirely depends on the manufacturer of a vehicle or a unit. Durability. This unit uses time proven mechanics. Low fuel consumption. Due to its mechanical structure, this system consumes about 30% less fuel compared to the automatic one. Oil saving. 2-3 liters of oil is enough for this transmission type. Service life of the clutch is around 40% longer compared to a manual transmission. It allows for fuel savings and improves safety level. Those drivers, who use manual transmissions, can easily handle this system. The number of gears in this system is equal to that of the manual one. No possibility to recalibrate this unit. Different car enthusiast forums are full of drivers complaining that they would like to have a possibility to increase the dynamics of this transmission or readjust it for more comfortable driving style. However, in this case, they have no choice but to get over the way this transmission operates or wait until the car guarantee period expires and change the firmware of the electronic control group. Low gear shifting speed. This feature is common for virtually every type of an automatic transmission. Necessity to take manual control while driving in the city. Otherwise, the clutch’s parts will break down soon. Beyond that, expert drivers recommend decelerating before shifting into another gear. Otherwise, you will feel light jerking while driving. This transmission type is a mechanical unit that continuously transmits the engine capacity to traction wheels. Speaking about its varieties, the world market offers V-belt variator, toroidal variator, chain-driven variator and many other types. Let us start with all advantages and disadvantages of the V-belt variator, since this is the most popular and widespread type. Smooth and fast acceleration. This transmission type doesn’t produce any jerking. That’s why the engines of the automobiles with variators don’t stall on the upgrades or at the traffic lights. Low noise level. Compared to other transmission types, this system doesn’t produce high noise level even at acceleration. Aside from that, those drivers that use variators, point out that this transmission produces less emissions compared to the above-mentioned types. Accordingly, this transmission type is the eco-friendliest and harms the environment to a lesser degree. Infinitely variable transmission doesn’t allow driving at high revolutions for a long time. 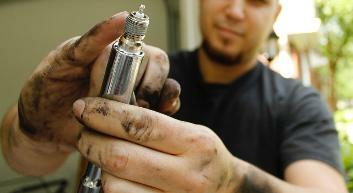 Necessity to perform frequent oil replacements – approximately once every 20-30 thousands operational kilometers. Necessity to apply special expensive fluids. High repair cost compared to the automatic or manual transmission. Even the malfunction of one element negatively affects the overall performance of this system. However, you may never experience the majority of these disadvantages, if you handle your vehicle with care, drive carefully and visit auto repair shops in time. 1. By the power transfer method: manual, epyciclic, with coaxial shafts, hydraulic-mechanical and variator transmissions. 2. By the number of main shafts with gears: two-shaft, three-shaft (in-line, out-of-line), multi-shaft with variable and sequential reducing and shaftless (in-line and out-of-line). 3. By the number of moves: two-way, three-way, four-way and five-way transmissions. 4. By the speed strapping method: with mobile gears (straight-tooth), with sealing ends, with constant-mesh gears (with and without synchronizers), with frictional step connection and with step connection via centrifugal and inertial clutches. 5. By the number of gears and by the control method: manual, automatic and semi-automatic transmission. In most cases, car owners visit specialized auto repair shops to apply for this service. The most common reasons why drivers replace their transmissions could be some breakages or malfunctions and even the owner’s wish to install another unit type. For instance, automatic and variator gearboxes have gained in popularity in recent years. In case of any serious malfunction of an automatic transmission, a service worker will definitely offer you to fully replace it. Speaking about variators – they are even less repairable. Some car models (for example, Honda HR-V) require complete replacement of the variator if it has some problems with its belt. In this case, there is an option to replace it with a new or pre-owned unit. Moreover, you can buy a refurbished automatic gearbox. The price of such unit will be lower than that of the new one, but its quality will surely be higher compared to the pre-owned one. Some drivers prefer not to visit auto repair shops, but to replace the transmission by their own, following various advices from the Internet and asking more experienced drivers for help. If you also don’t want to turn to experts, here is the algorithm on how to change gear in car by your own. Put your car on a smooth surface, stall the engine and let it cool down. Don’t perform any replacement when the engine is warm. The system contains some oil and, if it is warm, you can get a severe burn during its discharge. 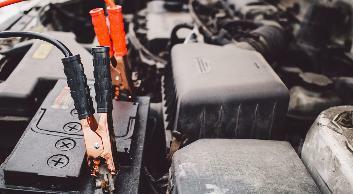 Once the engine has got cold, you should disconnect your battery terminals (some models have transmission sensors) and uncase your engine. It is better to do that with the help of another person, because this unit is quite heavy and you might get hurt doing this alone. The most comfortable way to remove the gearbox is on the service pit. This will make it possible to bring it down under your car. Spend 5-10 minutes to wait for the oil to drain out of the system. Then, carefully remove all nuts of drives and wheels. If you carry out all these procedures on the service pit, then you should lift your car’s nose and hold out the gearbox, so it (or some of its parts or component) doesn’t fall down. Your car’s nose should stay elevated. Unless this is done, the car can just fall on its nose. It has to be done in order to give you a possibility to perform easy disconnection of the gearbox from your car’s undercarriage. And if you have a rear-drive car, then you should disconnect the propeller shaft. In doing so, it is better to ask someone to help you, because you will have to remove two drivers at a time. In order to do that, you have to pull off CV joint with the crowbar and, at the same time, draw the drive out of the gearbox. 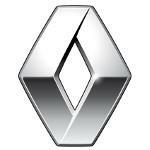 Once CV joins has been drawn out, you have to carefully insert the identical CV joint or any blind plug. This is intended to ensure that the gearbox doesn’t spin and the differential doesn’t break up. If that happens, you will have to take your gearbox apart and remount it. This list contains air conditioner compressor installed on some off-roadster models, starter or even earth cable. Once all obstacles have been removed, you have to turn on the reverse gear element, remove the flywheel, casing and gear shift gates. Try to mark their location to avoid any problems with their further installation. You can also refer to the pictures from your car’s technical documentation. Support the engine with a hydraulic jack to avoid its falling to the ground. It is better to do it together with another person. Support the gearbox and carefully unscrew all resilient mounts. Be careful in order not to harm the clutch basket. If you are going to leave your car in a knock-down condition for some time, we recommend you to pack all open slots in order to protect them from dust. 1. Lower your engine a little bit using a car jack. 2. Insert the gearbox until it stops. It is recommended to do it manually and not to use any coupling bolts. 3. Once the gearbox has fit snugly near the engine, you have to tight all main hold-down bolts. 4. Attach and adjust the clutch cable. In doing so, make sure that the clutch pedal is approximately one centimeter higher than the brake pedal. 5. Install the reverse sensor and starter. Then, connect the gear shift mechanism. We have already recommended you to leave marks when removing the gates. These marks will make the connection process more comfortable. 6. Once the gear box has been installed, you should start installing the undercarriage and inserting the drive. You should be extremely careful when doing this. If you misadjust the differential during the installation process, then you will have to repeat the entire procedure. 7. Tighten bridles and ball joints, and tighten hold-down bolts. 8. Once the installation is over, you have to put the required level of oil. Read your car’s technical documentation to find out how much oil to put. If you want to check the function of gear box in your vehicle, you can shift gear with the engine switched off. If all gears are shifted smooth and there are no crackling or other unwanted sounds – the work was performed successfully. During the first activation of the engine, you should accomplish some short distance (around one kilometer) using only low gears. This will allow you to feel the way your car behaves and will cover with oil all components of the gearbox. After this, you can start using high gears when driving.